Earlier this week, Kwara State Governor, Alhaji Abdulfatah Ahmed said he leaving a better Kwara State. Here are a few reasons why. 3. The Ahmed administration implemented major road projects such as the Geri Alimi Diamond Underpass, Share Oke Ode Road, Anilelerin Road, Offa, Arandun-Rore-Ipetu Road, Oloro Township Road, Oke Rimi Road, Oro, Adualere-Isale Koko Road, Ilorin, and several others across the state. 10. Governor Ahmed brought inherited projects to completion thus ending the era of abandoned projects in Kwara State, including payment of inherited contractor debts. 12. The Ahmed administration created the environment for the emergence of new employment generating investments such as BUA Sugar Factory, Crown Hill University, to mention just a few. 14. 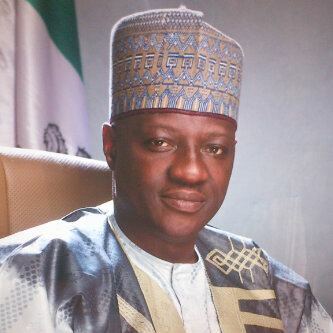 Thanks to Governor Ahmed, Kwara State enjoyed greater peace, stability and greater harmony. 15. Governor Ahmed created a conducive working environment for State Civil Servants through prompt salary payment, regular training, welfare packages such as car loans, the completed Land Administration building and the almost completed State Secretariat Phase 2.